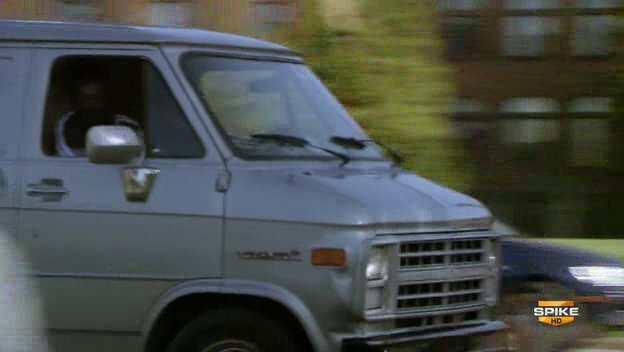 IMCDb.org: 1985 GMC Vandura [G-1500] in "Blue Mountain State, 2010-2011"
I agree with your assessment, deltagolf. Perhaps it is the GMC Vandura with Chevrolet grille? Yes, that's what I was thinking too, but I wanted to hear other users' thoughts on it before naming it. By the way, it is 1985 or later by this taillight.